Lamoon cares for both babies and also mothers. With genuine understanding in physical changes every mother gone through during pregnancy terms. One of the top problems is stretch mark. From research and development, Lamoon are proud to present Lamoon Organic Anti-Stretch Mark Cream, made from natural extract and ensure multiple benefits. Fruit extracts, avocado organic oil extract are superior in restoring skin moisture compared to other oil extracts. Nourishing suppleness from within and prevent dehydration. Long lasting hydration, make skin healthy and improve skin elasticity. Ensure health and safety for little ones. 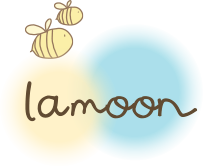 Because every product a pregnant mother uses effecting her baby, Lamoon carefully develop products for mothers. Our products are convenient and safe.